Blackberry Messenger (BBM) app will be offered as a download to run on the Android and iOS, the company announced on Tuesday. Blackberry said initially the text, picture messages and group sharing functions will be offered on Google-based and Apple-based iOS operating systems from this summer. The company added that voice, video calls and screen sharing have also been planned that will be totally free of charge. The surprise news will be confirmed during the company’s annual developers’ conference in Orlando, Florida, Blackberry chief executive Thorsten Heins said. The move is considered disrupting for Whatsapp, Skype and the other players in market. 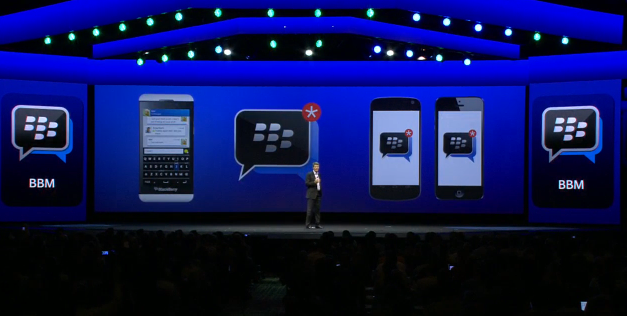 But Mr. Heins talks down the idea that offering BBM, which the Canadian company said over 60 million Blackberry users access at least once a month, to the rival devices will leave a negative impact over the sales of its own handsets. This entry was posted on May 16, 2013, 3:18 PM and is filed under Welcome Note. You can follow any responses to this entry through RSS 2.0. You can leave a response, or trackback from your own site. Watch BlackBerry’s Super Bowl Commercial! Amazing Alex - Next Rovio's Game after Angry Birds !!! BlackBerry Playbook 4G releasing 31 July 2012 just for $550 !